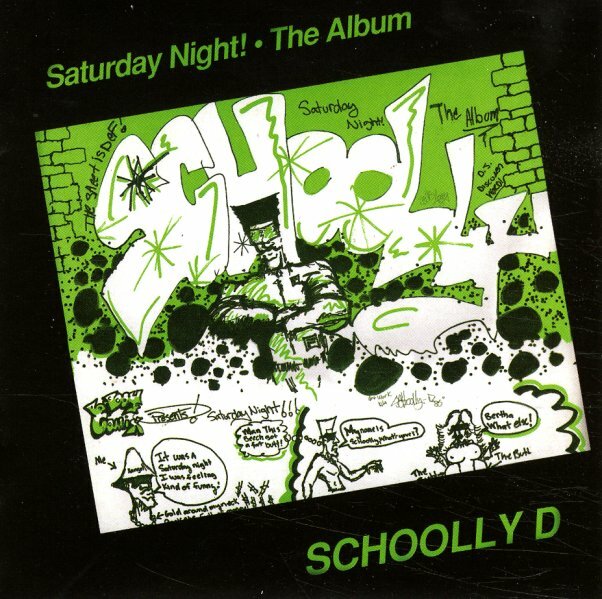 The classic by Schoolly D – his second album, and the one where he really hits his stride – with profane humor and classic drum machine and oddball sample flavored production! It's almost hard-to-believe nowadays, but the un-PC rhymes were straight up scandalous back in the day – but Schoolly's laidback, charismatic delivery always tempered that language in our minds, and the production sounds fresh to this day. Not everyone agrees with us, but this is definitely one of our favorite favorite hip hop records of the later 80s! Inspired cuts include the title cut, "B-Boy Rhyme and Riddle", "We Get Ill", "Parkside 5-2", "We Get Ill", and the Code Money DJ track, "It's Krack", "Dis Groove Is Bad", "Get N' Paid", "Do It Do It" and the rest. This FTG CD edition is loaded with one-time 12" vinyl-only versions, too – including "Saturday Night (Radio Remix)", "The Magoomba Mix", "Housing The Joint (Instrumental)", "Parkside 5-2 (Radio Edit)" and more. 17 tracks in all. © 1996-2019, Dusty Groove, Inc.